(1) The commercial motor vehicle's cargo is properly distributed and adequately secured as specified in §§ 393.100 through 393.142 of this subchapter. 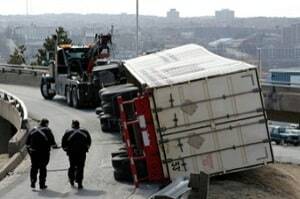 (4) The rules in Paragraph (b) do not apply to the driver of a sealed commercial motor vehicle who has been ordered not to open it to inspect its cargo or to the driver of a commercial motor vehicle that has been loaded in a manner that makes inspection of its cargo impracticable. Darby v. Sys. Transp. Inc., (unreported from Western District of New York in 1991) when employee was hurt when steel he was unloading from a truck trailer shifted onto his foot, court found nothing in 49 C.F.R. § 392.9 requiring truck driver to participate in or supervise the loading of the vehicle's cargo).